What a wonderful Day! 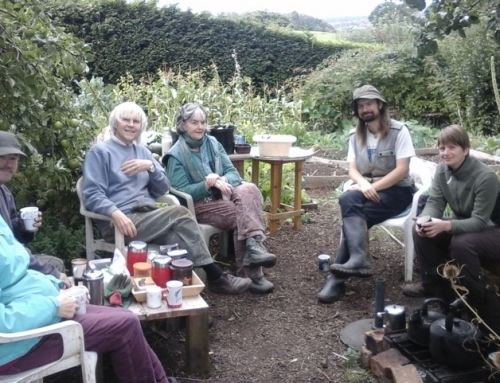 Our 7th annual Stroud Potato Day was once again successful in so many ways, not just financially. We had a lovely turn out. The Potato Lemon Drizzle cake was all gone by 1pm and the tubers were literally flying off the tables!! Some beginners bought just one to grow in a pot and others came for an order of 50 or more. 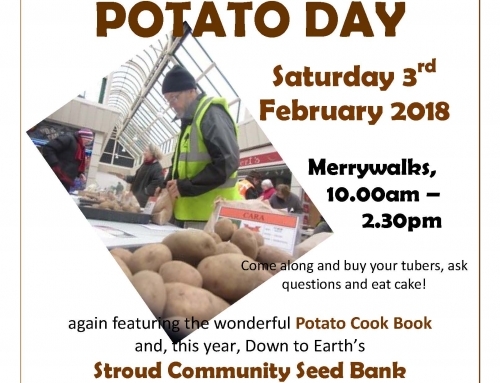 A big thank you to all who have helped either on the day or in the background, all our volunteers and of course, Ray from Merrywalks all of whom helped to make the 7th Stroud Potato Day a great success! Many happy spud customers now await the spring planting time and we are already thinking of next year as we love the potato buzz so much! On the day we sold just over 237kg of tubers. 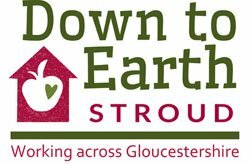 We collected a total of £607 with £325 going to pay for the potatoes and any other costs which leaves £280 profit which is shared between Down to Earth and Transition Stroud. We had a huge variety of potatoes as always. 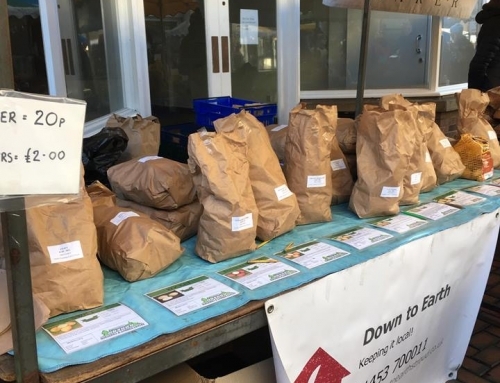 Our generous supplier, Chris Evans from Dundry Nurseries gave us a new and exclusive main crop potato called Horizon which is not available to the public yet. It is very high yielding but low need for nitrogen, drought tolerant and resistant to powdery scab and blight and also good in all other weather conditions as well as drought. Firm starchy flesh and good all rounder. Note: 2016 was very dry for potatoes at the worst time of year, so Horizon may be a good one to try! Once again, thank you, it was a pleasure to sell potatoes with you all this year and we look forward to next year, so put the 1st Sat in Feb in your 2018 diaries!! 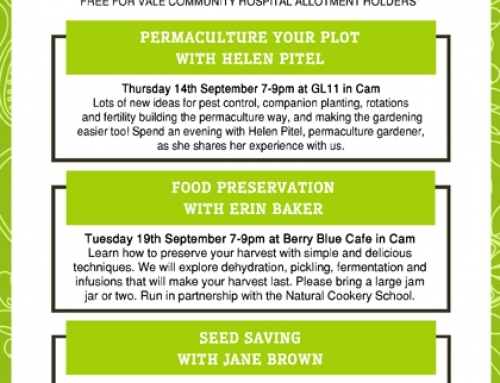 All the very best for an abundant growing year and LOTS of POTATOES! Also for those of you who are bakers, here is the lemon drizzle cake recipe for you – if anyone tries it let us know how you get on! A moist cake that is suitable for those with wheat or gluten allergies or intolerances. Grease or line a 20cm round cake tin. Beat the sugar and butter together until light and fluffy. Add the egg little by little, beating it in as you go along. Fold in the ground almonds, baking powder, lemon zest and mashed potato gently. Transfer it to the baking tin and bake for 45 minutes at 180°C/gas mark 4 until golden. While it is cooking prepare the drizzle: warm the lemon juice and sugar until the sugar has dissolved. When the cake is cooked leave it in the tin and prick it with a fork all over. Spoon the drizzle over the cake and allow it to cool in the tin before serving.